Add Ginseng X80 (80% Ginsenosides) to your Favourite Herbs list. Herbosophy's Ginseng X80 is a concentrated extract made from pure Panax ginseng Root and standardised to contain at least 80% Ginsenosides with every serving. Ginseng X80 is concentrated without fillers, preservatives or additives and is freshly encapsulated for you at order or packaged as loose powder: the choice is yours. 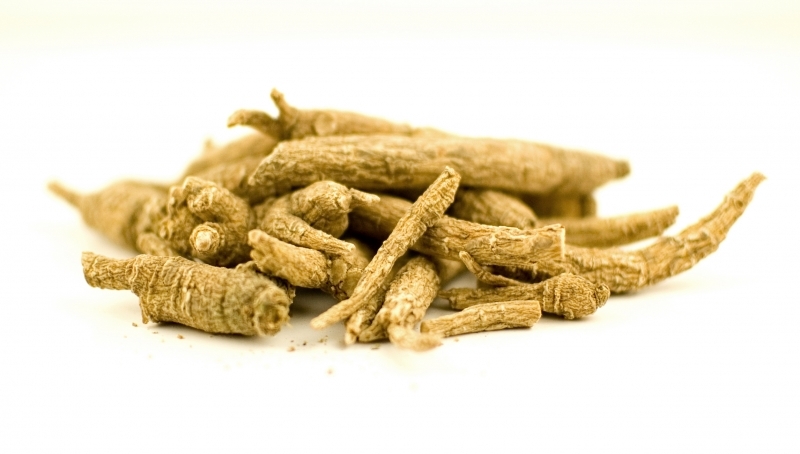 Ginseng is traditionally considered by Herbalists to be warm and dry and has been a popular herb in Asia for culinary, cosmetic and health use. Been severely depressed, exhausted and unmotivated for 6 months. Since I started taking this as well as rhodiola I have been managing so much better. I don't feel buzzed or high, just kinda normal, just enough to keep me hanging in there doing just one thing at a time, and I feel like I can cope somehow with the enormous amount of stress that normally just makes me want to give up. But now I feel like I can keep going. Which is actually a lot better than just staying in bed wishing I could die. And I actually feel optimistic and more positive now.